If you are facing foreclosure, a Chapter 11 bankruptcy may be the best, and possibly only, way to save your property. If you own multiple properties which are over-encumbered, a Chapter 11 bankruptcy may allow you to reduce the balances owed on each loan to the current market value of the property. If you qualify, a Chapter 11 will allow you to retain your primary residence and income-producing properties, while paying off a percentage of your unsecured debts. You will be required to make monthly “plan” payments to the Bankruptcy Trustee. The Bankruptcy Trustee then pays your unsecured creditors. ANAND LAW can devise an economically feasible plan which will allow you to retain your property/properties and pay off unsecured debtors at an affordable rate. If you are facing foreclosure, filing for Chapter 11 bankruptcy may allow you to save your home. If you have over $1,184,200 in secured debt, you do not qualify for a Chapter 13 bankruptcy, and a Chapter 11 bankruptcy may be the only or best way to save your primary residence and any rental properties. ANAND LAW can navigate the bankruptcy and real estate laws in order to allow you to halt foreclosure and make reasonable payments to continue living in your home. We will evaluate your situation to determine whether Chapter 11 or another alternative, such as litigation, is best for you. Whether to file for Chapter 11 or Chapter 13 primarily depends on the total amount of secured debt you have. If you have under $1,184,200 in secured debt, you a Chapter 13 may be the better option for you, but may not be depending on the number of properties you have; the market value of each; and, the amounts of debt on each. As with a Chapter 11, a Chapter 13 can be used to prevent foreclosure, retain property (including a rental or business property), and remove liens. Anand Law can evaluate your situation and determine what is best for you. Click here for more information on Chapter 13 bankruptcy. 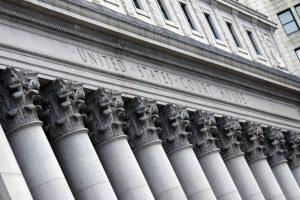 An Adversary Proceeding (“AP”) is a full federal lawsuit, that is connected to a bankruptcy case, and in other ways similar to a normal lawsuit with discovery, motions and trial. A Motion may be brought to request certain relief, and in other instances an AP is required. Rule 7001 Federal Rules of Bankruptcy Procedure (“FRBP”) lists several categories which require an AP and can’t be brought by motion, and then there are exceptions to these categories. Anand Law handles APs on behalf of both Plaintiffs and Defendants, including but not limited to, suits related to fraud/misrepresentation, violations of lending laws, wrongful foreclosure, breach of fiduciary duty, and willful and malicious injury. ‘Cramming down’ refers to reducing the amount of the lien to the market value (i.e. removing the portion of the lien that is unsecured). Liens that may be crammed down include mortgage, HELOC (home equity line of credit), HOA (Homeowners’ Association), and judgment.